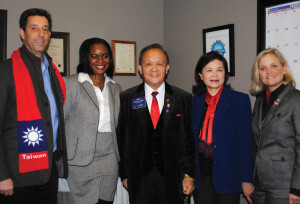 Space Center Rotary had some special guests in February – Rotary International President Gary Huang and his wife, Corenna. Here they were on hand when Space Center President Scott Rainey, from left, presented one of the club’s 50 Random Acts of Kindness to Shanna as the Huangs and Rotary District Governor Lisa Marie Massey look on. Shanna was a homeless Nigerian immigrant, a domestic violence survivor and the mother of two who was presented money to furnish a rental home for her family and to help her with her goal to become a registered nurse. Patty Kloves, is Kemah’s new city secretary, replacing Marisela Garcia, who left to become city secretary in Nassau Bay. Previously, she spent eight years working for NASA contractor Wyle Integrated Science and Engineering and also held financial and administrative posts at the University of Texas Branch in Galveston and at MD Anderson Cancer Center in Houston. A graduate of Texas A&M University, she also has a master’s degree from the University of Houston. The Kemah City Council set her salary at $65,000 annually. Members of the Texas PTA recently presented a ceremonial check to Clear Creek ISD, representing a $100,000 grant from the Texas PTA Clean School Bus Program. The grant money will be used to help purchase two clean-air school buses. CCISD has 71 clean air buses, 55 buses powered by CNG, 16 fueled by propane and 213 diesel school buses. “Currently clear air buses comprise 25 percent of the CCISD bus fleet,” said Transportation Director Dean Lewis. The Texas PTA has partnered for several years with the Texas Commission on Environmental Quality to improve air quality for Texas youth. Sen. Larry Taylor of Friendswood, who represents District 11, has been appointed as the new chairman of the Senate Public Education Committee by Lt. Gov. Dan Patrick. He was equally pleased, he added, to continue on the business panel. The Goose Creek CISD has selected Randal O’Brien as its new superintendent. O’Brien has been heading the district as acting superintendent since the beginning of this school year. “It is an honor to be the lone finalist for the position of superintendent for Goose Creek CISD. I want to thank the members of the Board of Trustees for their vote of confidence in me,” he said after his selection as the lone finalist for the post. 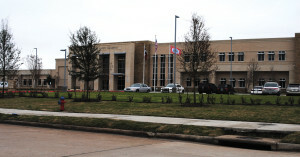 League City’s new Public Safety building on Walker Street. The Rev. Dr. Keith Alan Uffman is the new pastor at Webster Presbyterian Church — moving to the Bay Area from Greensboro, N.C., where he served as a pastor for almost 20 years and his wife, Mary Helen, taught and coached young athletes. A graduate of Louisiana State University, he earned his Doctor of Ministry from Union Theological Seminary where he was awarded a Thompson Scholarship. He also attended Duke Divinity School and LSU Law School. Sen. Ted Cruz (R-TX) has been named chairman of the Senate Commerce, Science and Transportation Committee’s subcommittee, which oversees NASA. He was the top Republican on the subcommittee last year but did not play a prominent public role concerning space agency matters in the last Congress. He is known mostly for advocating reduced government spending and a campaign to kill Obamacare. Pearland City Council has approved an agreement with the Texas Department of Transportation that will mean its Smith Road Project can go forward, agreeing to pay 20 percent or $996,899 of the $5.1 million cost for improvements from Hughes Ranch Road to FM 518. The state will pay the remaining 80 percent.